If you’re a theoretical physicist, you’ll note I am taking liberties with the science. But only a little—and the plot is very much real science. Steve Duong discovers something unexpected, creates a new hypothesis which explains his anomalous results, then confirms his hypothesis by further experimentation. I don’t personally believe we live in a universe where giant quasiparticles can talk to every other particle in the universe and ask them to attach to new partners, but it could be so. We are always just one experiment away from a revolution in understanding. And it will likely be something equally unexpected that allows us to travel to the stars. It is shown how a quantum cellular automaton can describe very precisely the Dirac evolution, without requiring Lorentz covariance. The automaton is derived with the only assumptions of minimal dimension and parity and time-reversal invariance. The automaton extends the Dirac field theory to the Planck and ultrarelativistic scales. The Dirac equation is recovered in the usual particle physics scale of inertial mass and momenta. In this first paper the simplest case of one space dimension is analyzed. We provide a technique to derive an analytical approximation of the evolution of the automaton in terms of a momentum-dependent Schrödinger equation. Such approximation works very well in all regimes, including ultrarelativistic and Planckian, for the typical smooth quantum states of field theory with limited bandwidth in momentum. Finally we discuss some thought experiments for falsifying the existence of the automaton at the Planck scale. Real quantum computing is still in its infancy. Efforts so far have been plagued by noise and the small number of qubits available—the current state of the art is 4! Researchers—and especially outside evaluations—find it hard to tell whether current quantum computers are actually doing quantum computation. This is an area where many discoveries are likely to clarify quantum phenomenon, and perhaps, as in this story, open up completely new vistas on how the universe is organized. If you are already familiar with the basics of quantum phenomena and want to learn more about quantum computing, the Wikipedia articles on the field are excellent places to start. Artificial Life is a kind of computational model of the biology of life as we know it. Starting with very simple worlds, models have become more and more sophisticated to the point where significant discoveries about emergent features are being made. Larger, faster simulations feature co-evolving organisms in ecosystems and environments that have been molded by biological processes. Wikipedia is a good place to start learning about the field. The traditional CPU/RAM computer architecture is increasingly unscalable, presenting a challenge for the industry—and is too fragile to be securable even at its current scale, presenting a challenge for society as well. This paper argues that new architectures and computational models, designed around software-based artificial life, can offer radical solutions to both problems. The challenge for the soft alife research community is to harness the dynamics of life and complexity in service of robust, scalable computations—and in many ways, we can keep doing what we are doing, if we use indefinitely scalable computational models to do so. This paper reviews the argument for robustness in scalability, delivers that challenge to the soft alife community, and summarizes recent progress in architecture and program design for indefinitely scalable computing via artificial life engineering. The Red Queen hypothesis is one of the key concepts of modern evolutionary biology. 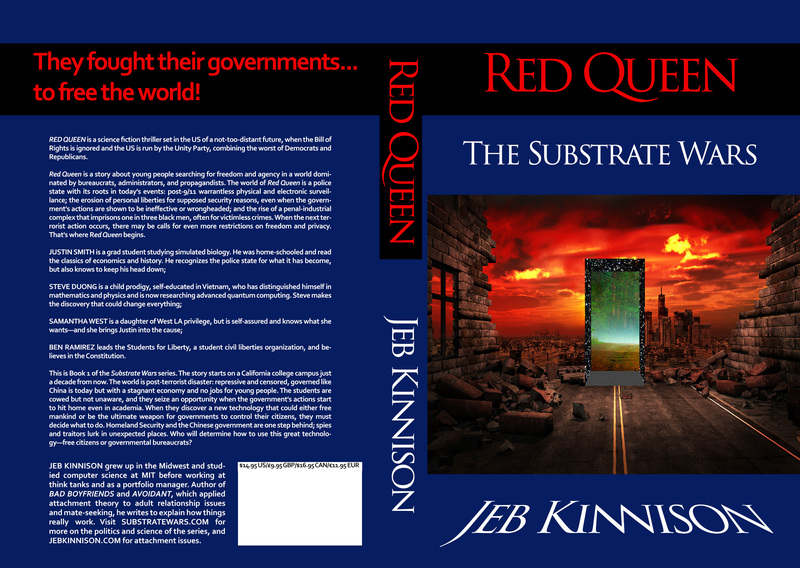 Posted in Books, Science, Science Fiction and tagged alife, artificial life, computational substrate, quantum computing, red queen: the substrate wars, star trek transporter, substrate wars, teleportation on January 4, 2015 by Jeb Kinnison.